Spying is the act of obtaining secret and confidential information about someone or something without them knowing. Though this whole act is usually frowned about by people all over the world, it is one of the favorite pastimes of most people actually. For most people, spying is limited to what they can get through the social media profiles. But some people, with advanced technical knowledge, do this by installing certain scripts, backdoor or any application on the target’s device and further monitor the activities using a client program on their side. Instagram is one of the most popular social network in the world, thus it also becomes one of the most popular platform that people try to spy on each other, especially for viewing those private Instagram accounts. And due to this, here we are going to let you know some best spying apps for iPhone/Android to hack Instagram accounts. This app lets you super easy to remotely track and look at private Instagram messages of any profile. The app also provides you the capability to shield yourself, your kids, and your family from the prying eyes of stalkers, hackers and people with ulterior intentions. Instagram is a a fun and beneficial social media platform to interact with your fans. This tool is good for intervening before suspicious private chats turns into critical threats. View private messages of any profile. Access all message threads from a PC in a user friendly way. Mark certain conversations as favourites for future reference and easy access. 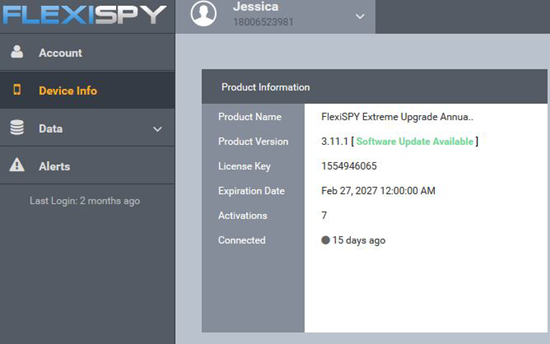 FlexiSPY is one of the best and most easy-to-use Instagram tracker app, available on Android and iOS, to spy on any instagram account. Once you have bought the app, follow the below steps to access the private instagram messages of any profile. Get hold of the device whose instagram you wish to access. Install the app and register it with the activation code. Once done, you can relax as the software will automatically upload all the message threads to its online dashboard. Now you can monitor the message threads from your pc through the online dashboard, and that too in real-time. That’s it. You can now monitor others private instagram messages. Copy9 is another great instagram tracker app to name in the list. If you want to obtain access to someone’s instagram messages easily and efficiently, then copy9 is the app to use. This Instagram spy app is so effective, that you will easily be able to hack anyone’s Instagram private account. And the added bonus is that the victim will never be able to find out that you have access to their account and messages. This is why this app sticks out from the the rest. You don’t need to deal with unnecessary downloads and complicated procedures. Just install the app on the target phone. It is a lightweight app and install very quickly. Then all you need to do is create an account on the product website and get access to all messages and data from the targeted instagram account. If you are not sure about the capabilities of the software, the product comes with a free trial version as well, so you can test it well before buying. Instagram is one of the most famous social networks in the world. Its popularity and user base has been growing steadily over the years and is not stopping, most of the users are teens who love to share photos of anything and everything. As parents of these teens, it’s necessary to keep track of what they are doing and whether they are not indulging in bad practices. The SpyHuman application is an efficient tool that provides you the capabilities to monitor your child’s activities on social media like Instagram. Even business owners can use this software to keepcheck on their employees. 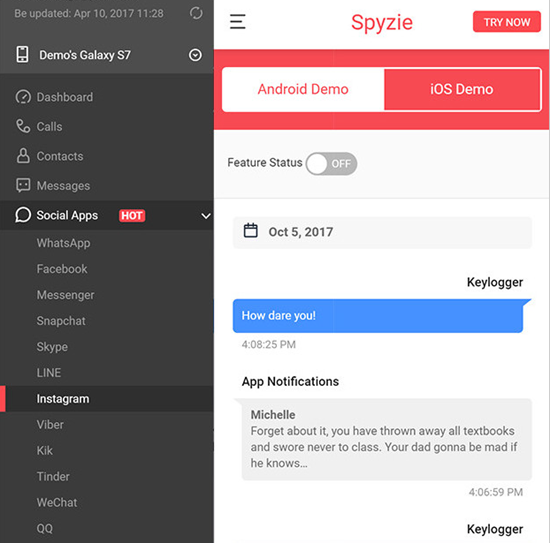 SpyHuman provides you multiple features like hacking instagram direct messages, monitoring the Instagram photos shared and saved from the targeted account, even tracking the deleted messages of the particular Instagram. It allows you to monitor all the activities performed on Instagram by the target user. You can access all the private conversation thread by thread and with details like time sent. You can also access the media that is shared by/to the target user. Get access to all the media shared on Instagram like photos, videos, documents, and audios. Get full control of the target users activities.